Sean Yongjoo Lim is in 9th grade at McLean High School. He has been playing violin since he was 8 years old. Sean is currently under the tutelage of Amy Beth Horman at the Horman Violin Studio in Washington, D.C. Performing in large venues such as Carnegie Hall, Lincoln Center, John F. Kennedy Center Terrace Theater, Smithsonian National Gallery of Art, and Shakespeare Harmon Center, Sean’s first solo debut performance with orchestra was with the Kostrama Symphony Orchestra conducted by Pavel Gershtein in Russia in July of 2012. In January 2014, Sean was featured as one of the young soloists in Sarasate’s “Navarra” with the Howard County Concert Orchestra under the direction of Ronald Mutchnik. Mr.Lim played with the U.S. Army Orchestra in a concert as a featured soloist in May 2014. Mr. Lim had a very exciting 2013-2014 competitive season as a ninth grader. Sean was awarded first prize in both the Army Orchestra Young Artist Competition as well as the James C. Macdonald Fine Arts Scholarship Competition. Sean also won awards as a finalist in The Feuer Competition, The MidAtlantic Regional Solo Competition, and The Landon Symphonette Competition and was a main prize-winner in the Advanced Category of The WPAS Feder Memorial String Competition. In addition to this, Mr. Lim had the distinction of being named a finalist in The Duquesne Young Artist National Concerto Competition. Sean is regularly featured in master classes with renowned violinists such as Ivanov Vladmir at the Moscow Conservatory, Juilliard professor Shirley Givens, National Philharmonic Concertmaster Emeritus Jody Gatwood, Baltimore Symphony Orchestra Concertmaster Jonathan Carney, National Symphony Orchestra Assistant Concertmaster Elizabeth Adkins, Pittsburgh Symphony violinist Roy Sonne, James Stern, Soovin Kim, and New Mexico Symphony Conductor and violinist, Guillermo Figueroa. Sean Yongjoo Lim served as Concertmaster of the American Youth Philharmonic Concert Orchestra in 2011, and was appointed Associate Concertmaster of the Maryland Classic Youth Orchestra (MCYO) Philharmonic for the 2013-2014 school year. Mr. Lim was also chosen as a National Symphony Orchestra (NSO) Youth Fellow in 2013. In addition to this, he remains an active member of Columbia Baptist Church Sanctuary Orchestra. 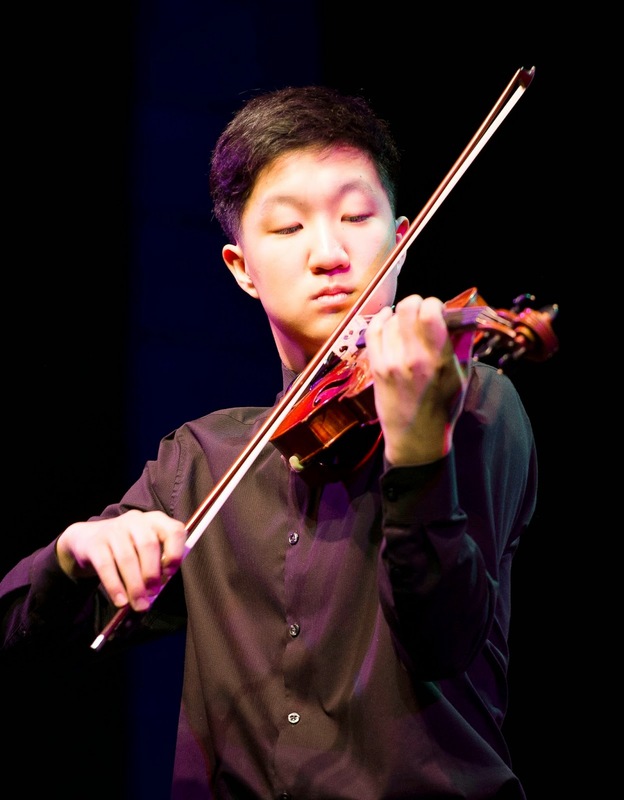 Mr. Lim has the distinct honor of having been accepted in the Meadowmount School of Music this summer where he will be studying with Jan Mark Sloman, Aarond Rosand's Intensive Violin Study Program, and NAC Young Artist Program directed by Pinchas Jukerman for 2014 Summer music studies.